Description Side scroller arcade game about Pixel Boy's unbelievable adventures. You'll have a travel in three different locations: Run, jump and collect fruits. Controls Controls with keyboard arrows. 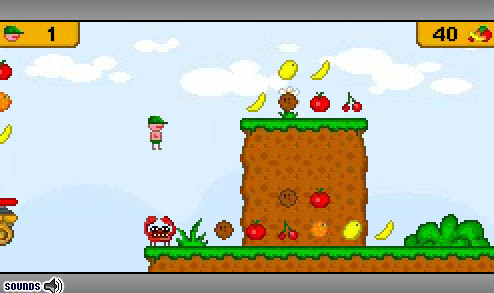 Old-school tiny platformer with funny music.